Just like people, dogs have different reactions to spicy foods. Some dogs can’t get enough of them while other dogs avoid them at all costs. Either way, spicy foods are not good for your dog. They can be dangerous and even life-threatening, so you should not be feeding hot and spicy foods to your dog under any circumstances. Allowing your dog to eat spicy food is a bad idea for many reasons. Spicy foods can cause stomach irritation, illness, and even death. Long-term exposure to spicy foods can increase a dog’s risk for many health problems. If you want to protect your dog and keep him healthy, it is best to avoid giving him any type of spicy food. Even everyday spices like table salt, garlic, and onions are very dangerous for dogs. Garlic and onions, whether in powder form or not, can cause life-threatening anemia. Onions can cause the red blood cells in your dog’s body to burst. All parts of an onion plant are toxic for dogs. In general, any spicy foods can cause dogs to experience digestive problems, upset stomach, indigestion, gas, excessive thirst, pancreatitis, vomiting, and diarrhea. Some of these conditions can be life-threatening. Spicy foods can lead to irritable bowel and long-term internal damage. They can cause damage if they get into your dog’s eyes or on his skin. For these reasons, spicy food should be kept as far away from your dog as possible. Can I Give My Dog a Jalapeno? As we have seen, giving any type of spicy food to your dog is a bad idea, and this goes for spicy peppers like jalapenos as well. Although jalapeños are not necessarily toxic for dogs, they can cause many problems and should be avoided. Dogs aren’t used to eating spicy foods like jalapenos and other hot chili peppers and their digestive systems cannot handle them well. Therefore, jalapenos can cause severe stomach upset and even internal damage. While some people believe these peppers provide health benefits to dogs, the risk of digestive problems outweighs any possible benefits. Sweet bell peppers are a much better and safer alternative. If your dog does manage to eat a jalapeño, he probably will experience stomach pain and possibly burns on the lips and tongue, diarrhea, and vomiting. It is important to keep a close eye on him and consult your veterinarian. As a home remedy, veterinarians often recommend giving some canned pumpkin or milk can help to soothe the dog’s stomach. Be sure to tell the vet exactly what dog ate and how much. Wipe your dog’s paws to prevent pepper oil from getting on his face, and wipe his face with cold water. As a preventative measure, teach your dog the “leave it” command to prevent him from picking up peppers in the first place. Like other spicy foods, you should not feed your dog chili. Most chile has onions, garlic, hot peppers, and other ingredients that are harmful to dogs. Onions, as we have already seen, can cause anemia in dogs. Red and green chilis are dangerous for dogs and can be lethal in high quantities. While some dogs like chili, it is not recommended to feed dogs chili or other spicy foods. Hot sauce, chili, and other spicy foods are not healthy for dogs. Dogs don’t handle these foods well, and they are likely to cause severe stomach problems. Most of the time, these foods will not cause lasting damage, but you can never be sure. If your dog eats any form of spicy food, you should call veterinary promptly. If your dog is acting strangely or experiencing any symptoms of poisoning such as weakness, lack of coordination, or severe diarrhea, you should seek veterinary help immediately. If it is after hours, Canine Journal recommends that you contact an emergency clinic, or call the animal poison hotline at 888-232-8870 or the ASPCA Animal Poison Control Center 888-426-4435. When a pet has ingested something toxic, the veterinarian will either induce vomiting, give something to neutralize the toxin, or, in some cases, perform surgery to remove the item. What should you do if your dog accidentally gets into some hot sauce? 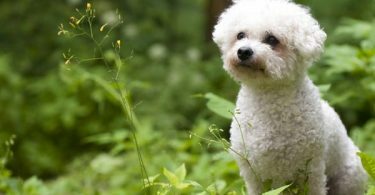 Even when you are careful to keep spicy foods away from your dog, dogs have a tendency to eat just about anything they find, so it is important to know what to do when your dog gets into something dangerous. First and foremost, you should always consult with your veterinarian. When you call, be sure to have as much information as possible about what exactly your dog ate and how much of it he ingested. Also, be sure to tell the vet about any symptoms that your dog is exhibiting. Your veterinarian will advise you on whether your dog needs to be brought in or can be treated at home. Although it is not considered toxic, chili powder contains an irritant called capsaicin that can cause your dog a lot of discomforts. Chili powder is actually a blend of different spices. It most likely contains cayenne, garlic, and other spices that are quite harmful to dogs. If your dog eats chili powder, consult your veterinarian as soon as possible. What if your Dog Ate a Chili Pepper? While chili peppers not necessarily toxic, they will likely cause a lot of problems for your dog. For starters, they can cause a burning sensation and blisters in the mouth. Furthermore, they can lead to an upset stomach, diarrhea, vomiting, dehydration, and anxiety. If your dog ate a chili pepper, call your veterinarian right away. Albuquerque Vetco suggests giving your dog water, milk or Pepto Bismol, after consulting with your vet. On another note, it is critically important to get rid of any ornamental pepper plants you might have around the house. Ornamental peppers are very toxic to dogs. If your dog eats any ornamental peppers, you should take him to an emergency vet right away. Vomiting should be induced as soon as possible, and supportive care will be necessary. What Happens if a Dog Eats Pepper? There are many different types of pepper, so the first question to ask is what kind of pepper your dog ate. 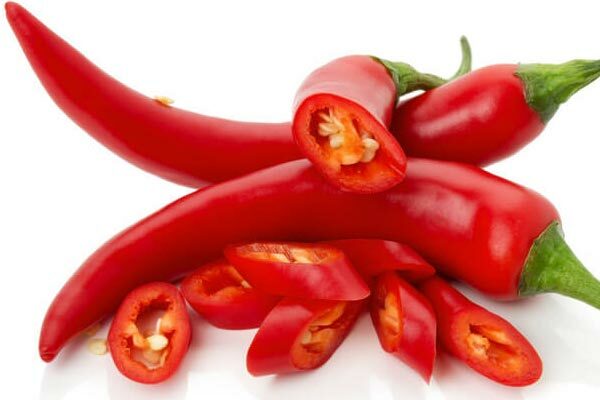 Cayenne pepper is harmful and even toxic according to some sources. It can burn the mouth, skin, esophagus, and stomach, leading to vomiting and diarrhea. It can cause internal burns, and contact with skin or eyes can be damaging. If you handled cayenne pepper, it’s a good idea to wash your hands before touching your dog. According to Everything for Our Pets, black pepper and other forms of pepper are dangerous in high quantities and not recommended for dogs. Overuse of black pepper can cause several side effects such as burning in the stomach, respiratory problems, diarrhea, and hemorrhoids. Inhaling black pepper can lead to airway obstruction, asthma, bronchitis, or even death. When it comes to feeding a dog pepper, any type of pepper that contains capsaicin should be avoided. This includes chili pepper, cayenne pepper, paprika, and chili powders. While cooked chili peppers are not usually lethal, they can cause a dog considerable pain and discomfort. Just like other spicy foods, they are not digested well by dogs. They provide no known nutritional benefits and can make your dog sick and cause internal burns. If your dog has eaten a cooked chili pepper, call your veterinarian. You can try giving some milk or water to dilute the acid in your dog’s stomach. Just to be safe, you might want to have a pet first aid kit on hand for emergencies. In addition to those already mentioned, there are many other spices that can pose health risks for dogs, so it is always good to check with your veterinarian before giving any spice to your dog. Nutmeg, for example, causes upset stomach, agitation in the nervous system, and can even lead to death. Paprika and turmeric can cause stomach upset and skin problems. Cinnamon in large amounts can be dangerous for dogs. 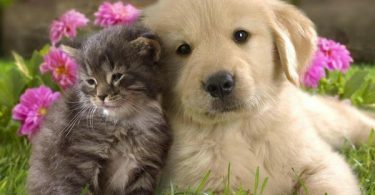 While not necessarily a spice, cocoa powder and any type of chocolate are extremely dangerous and toxic for dogs and for cats. Cocoa contains caffeine, which can harm the nervous system, kidneys, and heart. The darker the chocolate, the more harmful it will be for your prt. These are not the only foods items that are dangerous for pets. In this Veterinary Secrets video, Dr. Andrew Jones describes 15 toxic foods that dogs and cats should never eat and what to do if your pet becomes poisoned. Can Dogs Feel Heat from Peppers? Now that you know not to give spicy foods to your dog and what to do in case your dog gets into something dangerous, you might be wondering if dogs are missing out on something when they don’t get to chow down on your chili. Since dogs don’t have as many taste buds as humans, they cannot taste as wide a range of flavors. With their lack of ability to taste subtle flavors, dogs do not benefit from the adding of spices to their food in terms of taste. On the other hand, the heat caused by some spices can cause your dog a great deal of discomfort. Because spiciness is actually a sensation and not a taste, the heat from peppers is felt intensely by dogs. It triggers a nervous system response that causes dogs to feel pain in the mouth and throat and gastrointestinal distress. It can cause dogs to cough, sneeze, drool, foam at the mouth, paw at their face, and pant. It can lead to watering eyes, gagging, and dry heaving. Even something that is just slightly spicy can feel hot and painful to a dog. In other words, the only thing dogs will miss out on from not eating spicy food is discomfort and pain. Do Dogs Taste Spicy Foods like Humans Do? Dogs’ sense of taste works differently than that of humans. According to the American Kennel Club, dogs have fewer taste buds, 1700 instead of 9000, making them less sensitive to flavors. For that reason, they might not taste certain spices even though those spices can make them sick. Looking at the history of dogs’ evolution can help in understanding what dogs taste and don’t taste. Dogs’ sense of taste evolved from wolves, and they rely heavily on their sense of smell. In the wild, dogs used their senses of taste and smell to determine what to eat. With a sense of smell that is up to 1000 times stronger than that of a human, dogs taste food in part through their noses, and their sense of smell can contribute to the way they experience the taste of certain foods. Dogs’ noses usually prevent them from eating the wrong things. They tend to have less affinity for salty food, and most dogs stay away from spicy foods. On the other hand, their keen sense of smell does not always protect them from eating dangerous foods. Dogs eat to survive and sometimes will eat whatever food is available. As a dog owner, it is your responsibility to make sure your dog eats only foods that are safe. You should be careful not to leave out harmful foods such as chili, hot peppers, hot sauce, and spicy leftovers. If your dog does manage to eat something dangerous, don’t panic. Just be prepared to take whatever steps are necessary to alleviate the side effects, and don’t hesitate to seek medical attention if warranted.